If you’re a longtime reader of A Sparkle Factor, my love for the Sole Society Tiia is absolutely not a secret. They are such a great Valentino Rockstud dupe, at a great price point. This $70 style has sold out at LEAST three times and they keep bringing it back because it really is an awesome shoe. Super comfortable, which is not really to be expected with this style, you know? I wear them all the time, I get so much use out of them. I can’t stress how much I love these boots. They’re easily my winter go-to boot. I love wearing them. They’re super chic, look SO luxe, and are crazy comfortable. I wore them on Sunday to go grocery shopping and then on a Target run and I was totally fine in them all day. I love that they stay up over the knee!! (That’s a major key.) 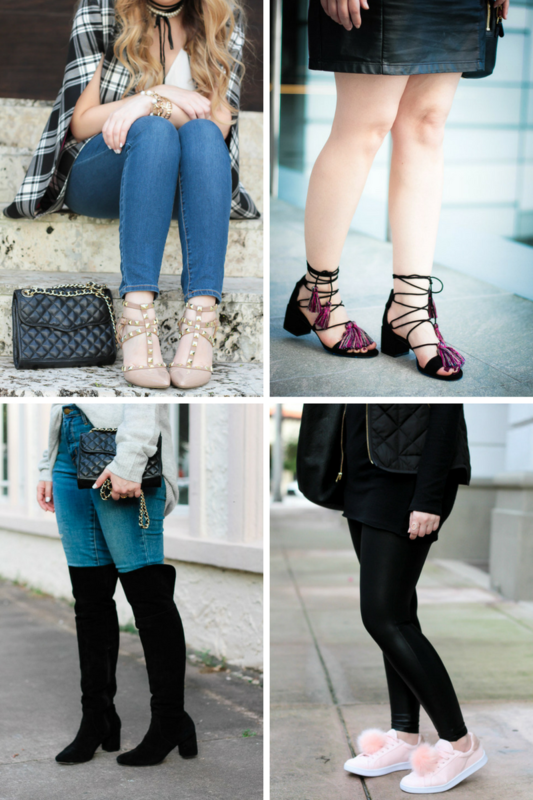 I’m sure you’ve noticed I’ve worn them nonstop on the blog! I can’t get enough of them. They are also available in a rust color that is SO GORGEOUS. I need them. The heel height is totally comfortable. Barely even a heel. I highly recommend these beauties! The booties are my go-to everyday shoe. They’re super comfortable and I love the taupe color. I definitely need the black too! I wore these babies to run around Boston and I always throw them on to run errands and have no problem wearing them if I’m on my feet for long periods of time. 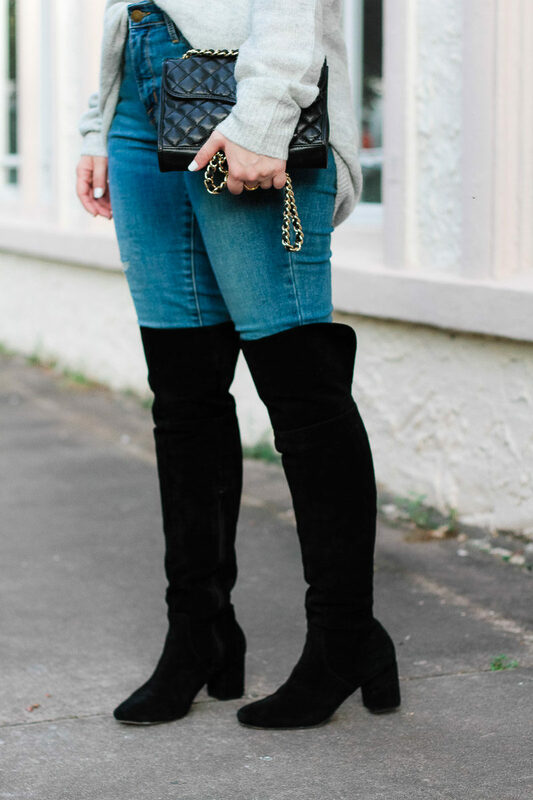 The suede is gorgeous and I always get compliments whenever I wear them! They’re also a great price point, under $100. They look awesome with jeans and dresses alike and are total wardrobe workhorses. OK, so as I mentioned earlier this week, I scored these babies at the Steve Madden outlet at Sawgrass Mills Mall. If you really love these sneaks like I do, you can totally try calling up the store and order them over the phone or you can track down a Steve Madden outlet near you. Other than that, there is a Steve Madden version that is almost identical here… it just doesn’t have laces. I’d totally go for them, though! I just think they’re so fun and surprisingly neutral. I love the pom. They’re just fun shoes that look adorable with leggings and dresses alike. I am so obsessed with these! I love the tassels. These sandals are surprisingly comfortable thanks to the low block heel that is so on trend right now. This is a great winter to spring transition shoe and I can forsee wearing them with everything from jeans to dresses. The tassels are just such a great statement. All tassel everything, I always say. Those are my 5 favorite shoes right now! I can’t get enough of them. 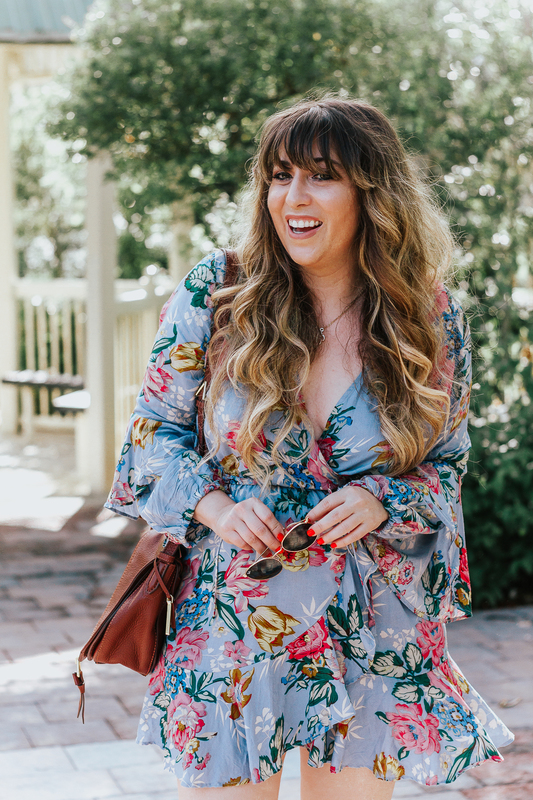 I get sort of obsessed with something in my wardrobe and then wear it nonstop, which I’m sure you’ve noticed lol! If you have any questions about fit, I’m happy to answer them for you! Hit the comments and let me know which pair is YOUR favorite.